Made out of metal, the G21 Full Metal Walther P38 Spring Action Handgun is a highly powerful airsoft pistol that is available at bargain prices A full scale replica of the Walther P38, the spring action pistol is an excellent piece for your collection. The pistol offers a solid grip which also makes it an excellent weapon for safe target shooting practice in your backyard. 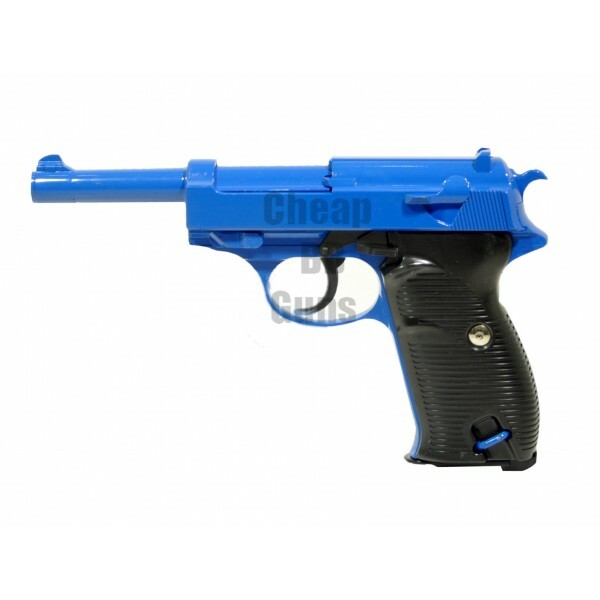 The Walther P38 airsoft handgun, which replicates the mechanisms of the original Walther P38 pistol, is just a handful but very powerful airsoft gun that can be used by experienced BB gun enthusiasts. The P38 spring action gun has a maximum FPS of 201 when used with BB pellets of 0.12mg, and an FPS of 189 with BBs of 0.20g BBs. Use of safety eye goggles, masks or vests is recommended when using high performance guns like the Walther P38 spring action airsoft handgun.